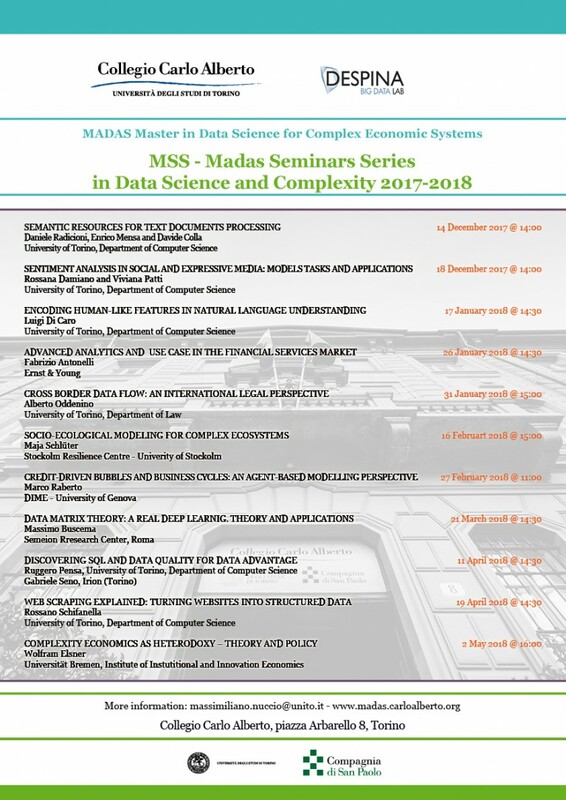 Starting December 2017 MADAS will launch the Madas Seminar Series – MMS, a calender of open seminars focused on different teorethical and empirical aspects of data science. Invited guest speakears include lecturers and professors at the University of Torino, but also internationals scholars in their fields. We will start on December 14th (h.14-17.30 at Collegio -Aula 3) with Daniele Radicioni, Enrico Mensa and Davide Colla, researchers at the University of Turin, who will present: “Semantic resources for text documents processing”. 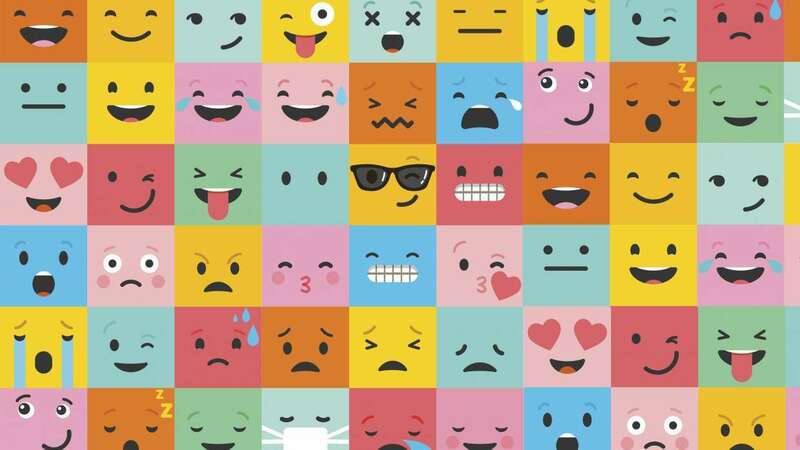 The second appointment is on December 18th (h.14-17.30 at Collegio -Aula 3) with Rossana Damiano and Viviana Patti on “Sentiment analysis in social and expresiv media: models, tasks and applications”. The full MSS calender with speakers and topics will be available soon.